Premier League Tickets - Best tickets, Best Matches, Safe and Secure! If there is one football competition that is known throughout the world, it has to be the Barclays Premiership or the English Premier League.Tickets for any and all Premier League matches – regular tickets, VIP or hospitality tickets – are available at ProvidingTickets: the place to visit if you are looking for a personalised service and quality rather than quantity. We can arrange any ticket for any match, just contact us for an offer! For all Premier League Tickets and Prices, please click here. The Premier League holds a special place in the hearts of football lovers, as England is considered to be the home of football – it is claimed football originated on the island, either in Anglo-Saxon times when the severed head of a conquered Danish prince was used as a football, or way before that, when a ball symbolising the sun was passed around in a rite of honour for this celestial body. 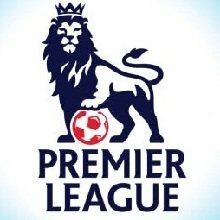 The Premier League was officially founded on 20 February 1992 as the FA Premier League, when a number of clubs lured by the bait of ever higher revenues from TV rights decided to break away from the First Division of the Football League, which had been in existence since 1888. This was subsequently reshaped, with its highest tier in effect becoming the second tier in English football. The list of memorable seasons, players and moments in the Premier League is virtually endless. Who can forget the legendary Blackburn Rovers striker Alan Shearer, who once scored 34 goals in one season (1994-1995), mirroring Andy Cole’s feat during Newcastle’s first season in the Premier League. And what about “King” Eric Cantona, the passionate Frenchman who is mostly known for leading Manchester United to the top of the league in the nineties – scoring a staggering total of 64 goals – and for launching that infamous kick during an away match against Crystal Palace. In more recent times, the 2011/2012 season is considered to be the most thrilling in the league’s history, with the title going to Manchester City for the first time – a huge achievement. The season was also special because all the major results became known on one nail-biting day: the league title, relegation and qualification places for that other mammoth competition: the Champions League. The 2014/2015 season saw Louis van Gaal taking over from David Moyes as Manchester United coach, and the Dutchman will probably go down in history as an innovator in the English language, coming up with idiosyncratic expressions such as ‘the three points are inside’ and ‘that is another cook’ and ‘it was again the same song’. So far, the best-performing teams in the Premier League have been Manchester United, Liverpool, Arsenal and Chelsea. Not surprisingly Premier League tickets such as Manchester United tickets, Arsenal tickets and Liverpool tickets are in high demand throughout the football season. All you need to do to secure them is contact ProvidingTickets!